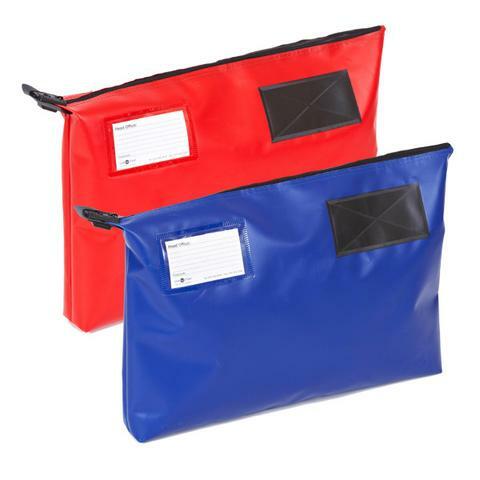 These heavy duty, reusable security pouches, otherwise known as security mailing pouches, have a wider 75mm bottom gusset and are suitable for multiple or bulk documents etc. Featuring a tamper evident locking mechanism, using either plain, colour coded or sequentially numbered security seals, they are available in two sizes with a choice of colours from stock as below. All sizes featured are internal. Item # GP1=380mm x 335mm x 75mm £12.00 ea excl VAT and carriage. Item # GP2= 470mm x 335mm x 75mm £13.50 ea excl VAT and carriage. * Please note, these products are only available to purchase online, for UK mainland customers. If you wish to purchase from outside this area please do not hesitate to CONTACT US FOR A RAPID QUOTATION. All prices above exclude VAT & carriage which is added at checkout. 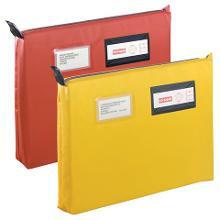 Are you looking for single use security envelopes and cash bags ? Need bulk discount or a customised version ? Contact us for options and pricing.